UN human rights experts are calling for the immediate release of everyone detained in connection with anti-corruption protests on 26 March. Still from RFE/RL.We continue our partnership with OVD-Info, an NGO that monitors politically-motivated arrests in Russia. Every Friday, we bring you the latest information on freedom of assembly. 12 April: seven people are detained on Moscow's Red Square for reading out the Russian Constitution. Source: OVD-Info. 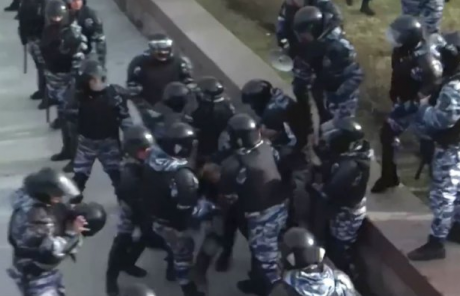 Detentions against other actions continue — for instance, for reading out the Russian Constitution (which protects freedom of assembly) on Red Square.